information contact Haldimand Conservation Services. 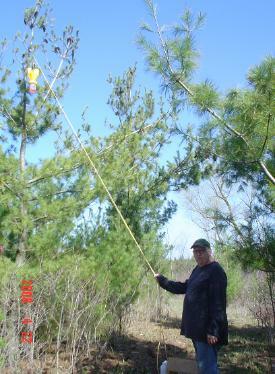 Conservation Services at our Forest Health Hotline 519-426-5999 extension 2607.
population built up to damaging levels. for this pest. Regulatory measures in these areas are taken based on information obtained through ongoing survey work. For information about the beetle, go to the Canadian Food Inspection Agency's website at www.inspection.gc.ca under "forestry"
or call the CFIA toll-free at 866-463-6017. EAB only infests and kills ash trees. Click here for an ash tree I.D. fact sheet. to pass freely between all the listed areas. Ontario - that includes Haldimand County!